September marked the first of our retail shows. We had a great time at Perthshire Open Studios, thank you to everyone who popped by. 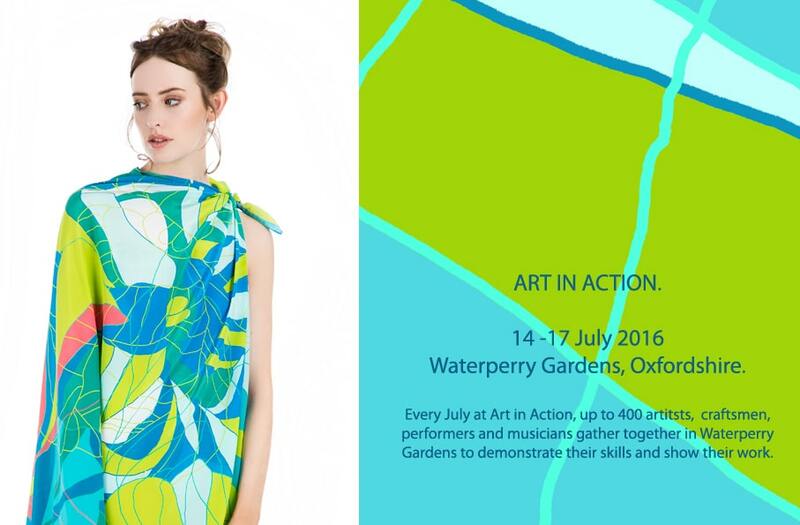 It was amazing working alongside other artists and designers and meeting some of my customers. But now we are London bound…..
We have been accepted to feature in several shows this Autumn, exhibiting alongside some of Britain’s most talented designers, artists and craftsmen. We look forward to seeing you at one of the many shows we are exhibiting at. 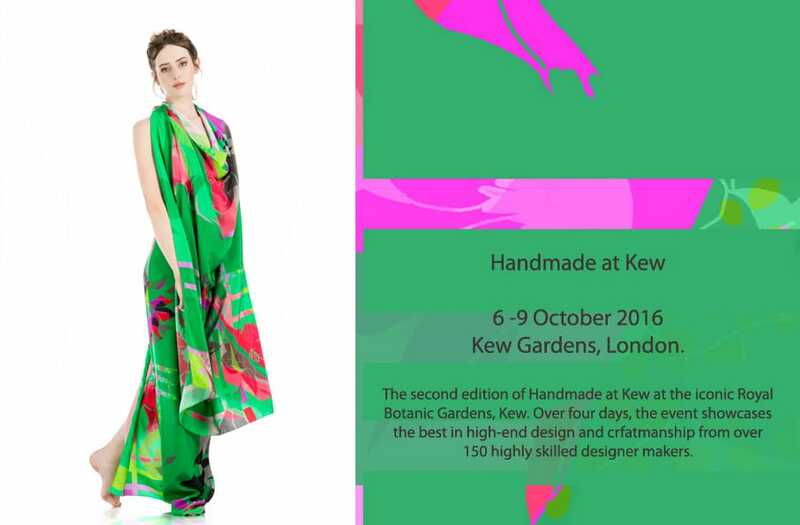 Starting with the NEW international contemporary craft event Handmade at Kew. 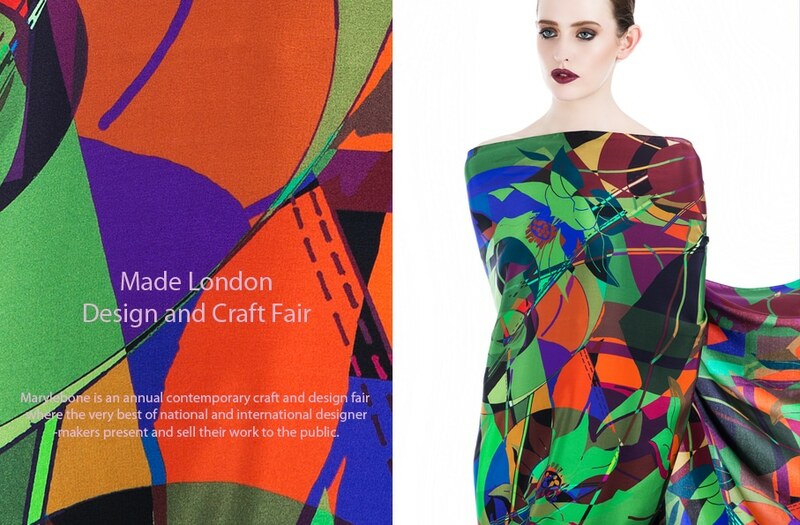 MADE LONDON is one of the top selling events for designer makers in Europe. LOOK WHO’S BACK!!! 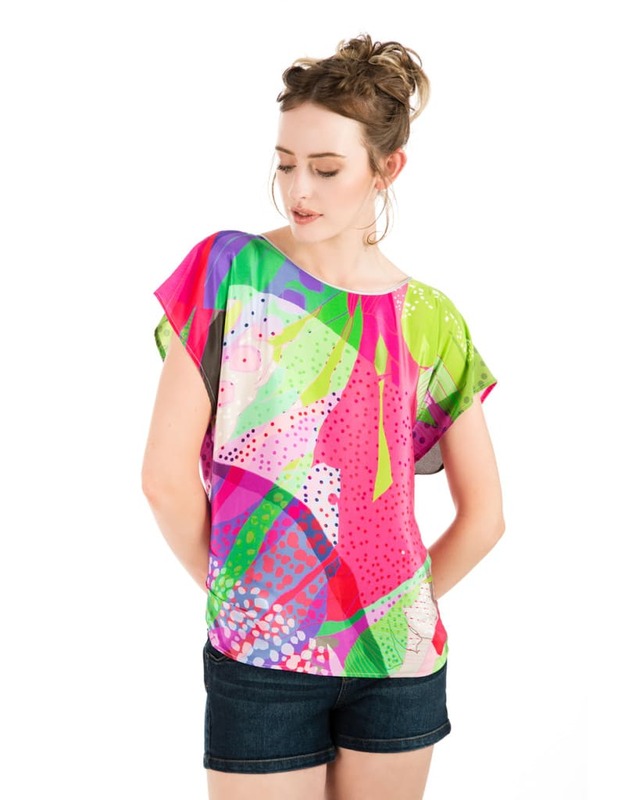 Our ever popular PURE SILK TOPS are back. Introducing five new prints available in sizes XS to XL. Get ahead of the new season with Taisir Gibreel’s latest collection – a powerful mix of classic and brand new designs; perfect prints to wow all those around you! 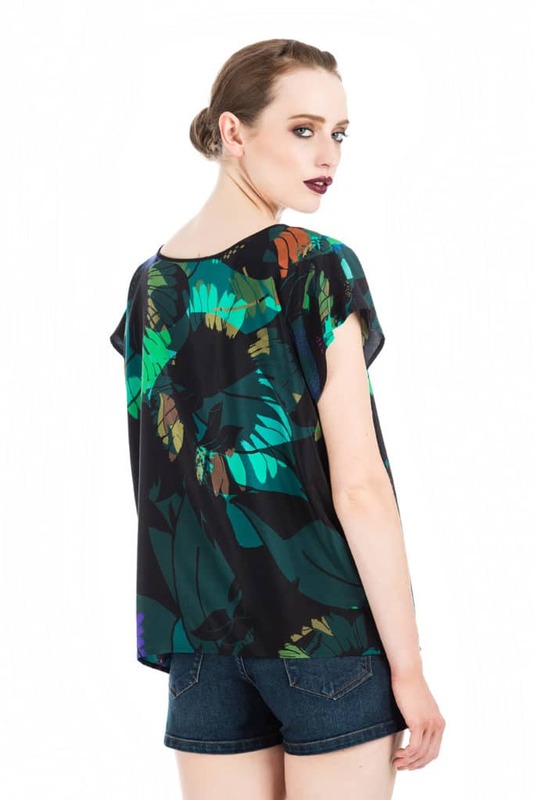 Simple yet beautifully cut silk crepe de chine tops are the ultimate in feminine chic. Featuring an exquisite array of colours and geometric shapes they are the ultimate luxury designer must-have to brighten up any outfit. 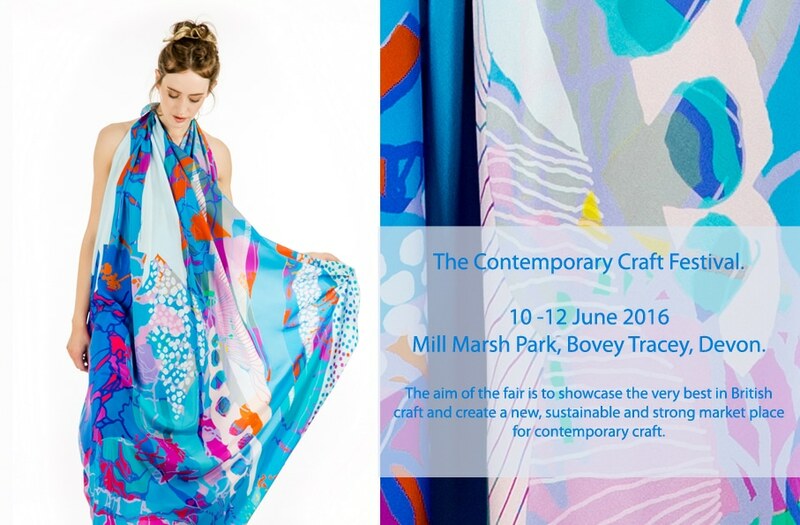 June marks the first of our retail shows, we are so excited to be exhibiting at The Contemporary Craft Festival between the 10th & 12th of June. Absolutely loving all the wonderful sunshine we have been having, hopefully the sign of an awesome Summer ahead. It has been a busy few weeks; designing Spring/Summer 2017, the end of the Autumn/Winter 2016 selling period and restocking stockists across the UK and the US. Can’t thank you all enough for all your wonderful support. Fantastic start to the summer…. Spring/Summer collection going down with a BANG!!!! It has been a fantastic start for the Spring/Summer 2016 collection. 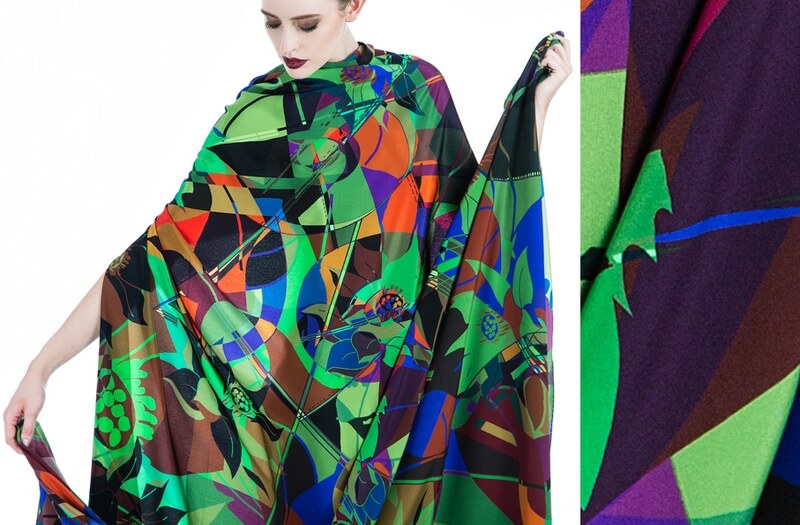 In the last few weeks the silk dresses, silk tops and scarves have gone down a storm!!! Flying off the shelves across the UK and New York. Some sizes already SOLD OUT and Summer is yet to come. YEPPIE. Fantastic to see so much support for British design and craftsmanship. Better get in quick. I was absolutely loving all the wonderful sunshine we were having, sadly it has turned a wee bit grey. Ever the optimist, I am hoping for an awesome Summer ahead. It has been a busy few weeks; designing Spring/Summer 17, the end of the Autumn/Winter 2016 selling period and restocking stockists across the UK and the US. Can’t thank you all enough for all your wonderful support. 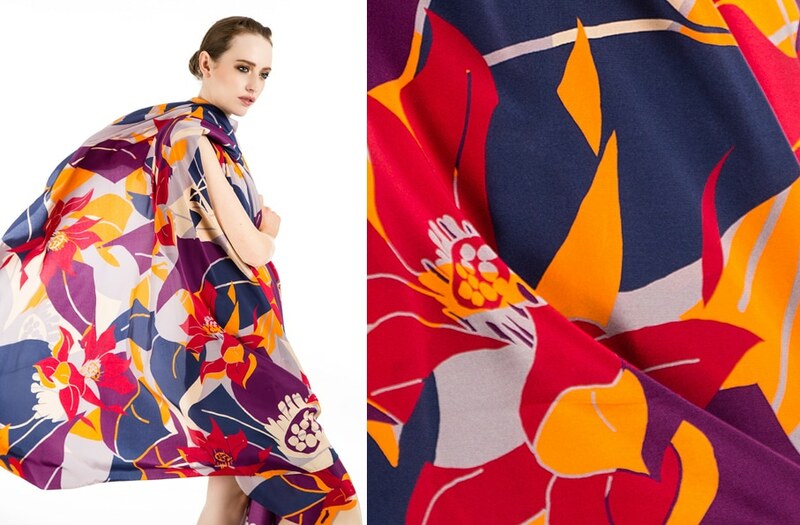 Cut from fine silk crepe de chine a Taisir Gibreel scarf adds a burst of print and colour to any outfit whilst keeping the breeze at bay in style. Drape around your neck for a sophisticated and feminine look, an effortless and effective way to style your ensemble. Add colour and pattern to your wardrobe with a beautifully printed classic shift dress. Expertly cut, a Taisir Gibreel silk dress exudes sophisticated, timeless style. Featuring a classic shift silhouette in superior quality silk, the versatile finish offers endless styling options. Embrace the fabulous: simple yet beautifully cut silk tops are the ultimate in feminine chic. Featuring an exquisite array of colours and geometric shapes they are the ultimate luxury designer must-have to brighten up any outfit. Spring is the the air!!! My daily morning cycle ride is a true delight as Spring is definitely here. It is amazing to see the transformation of the landscape in my new home in the Scottish borders. Although I love Autumn and Winter especially the colours of Autumn, there is undeniably something very special about Spring. I guess you could call it optimism or a new beginning of some sort, either way I love it. Time to banish the winter blues and embrace all the wonderful Spring/Summer colours and nothing celebrates that more than the New Munro Blossom Collection. I love this time of year!!! The first day of March is also the first day of shows for Paris Fashion Week, the final leg of the season’s four-city marathon. And it eases everyone gently into what is usually the most jam-packed period. I am looking forward to being bombarded with stunning and inspiring work with my instragram and pinterest accounts becoming inundated with exquisite textures, colours, prints and designs, such a distraction. It has been an amazing few months with the NEW SILK tops and A/W16 collection going down a storm opening NEW doors across the UK and the US. This Spring/Summer 2016 collection I introduced a floral element to my work which has proven extremely popular, so for A/W16 I embraced floral once again. Floral is a totally new direction for me and I was a tad nervous but I am pleased to say it has been embraced by existing and new stockists. It is always scary trying out something NEW but it is vital to keep things fresh and fun. I can’t thank my buyers and customers enough for joining me on this roller coaster of a journey. 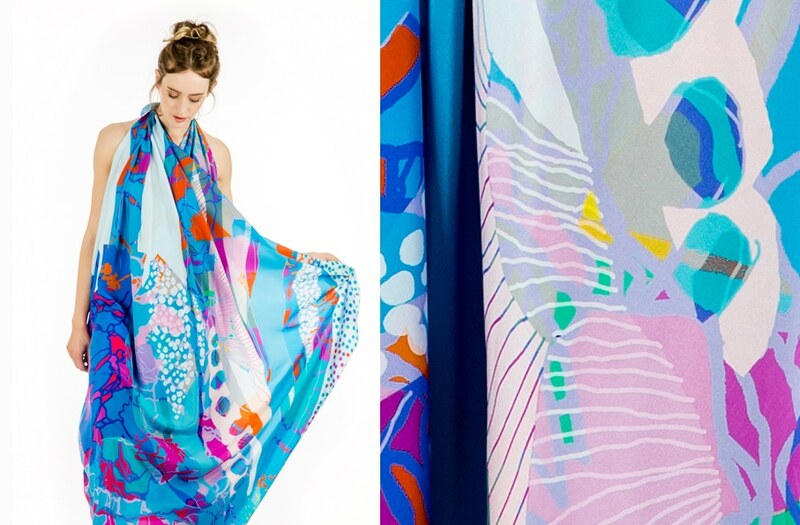 Cut from fine silk crepe de chine a Taisir Gibreel scarf adds a pop of print and colour to any outfit whilst keeping the breeze at bay in style. Drape around your neck for a sophisticated and feminine look, an effortless and effective way to style your ensemble. Spring/Summer 2016 TOPS marks Season 2 for our SILK TOPS. 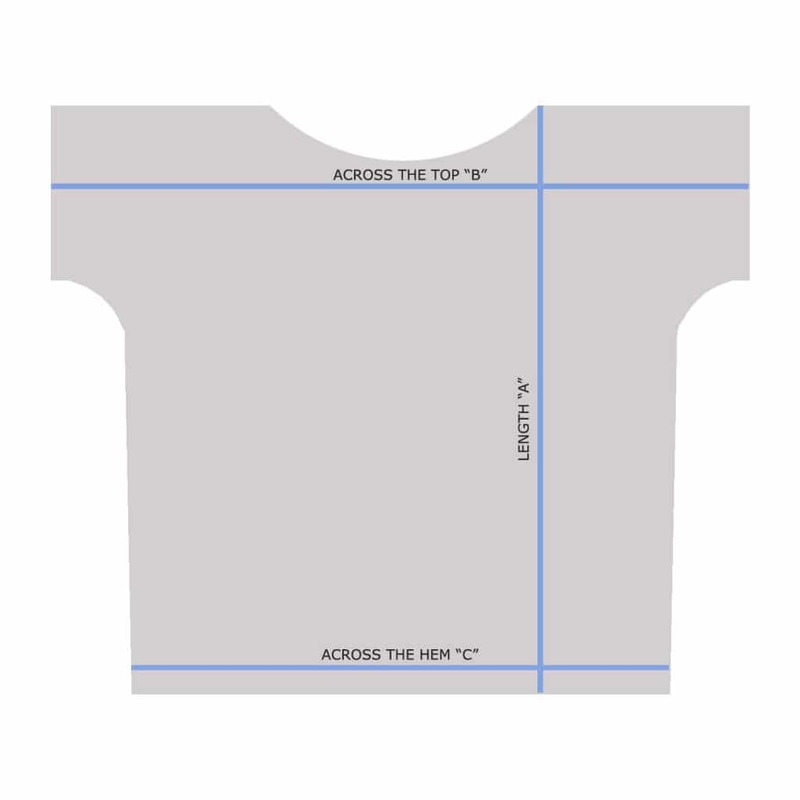 We had such success with the tops this Autumn/Winter15 season, they are back for Spring/Summer, introducing 6 new prints as well as expanding the size offering. They will now be available from XS – XL. 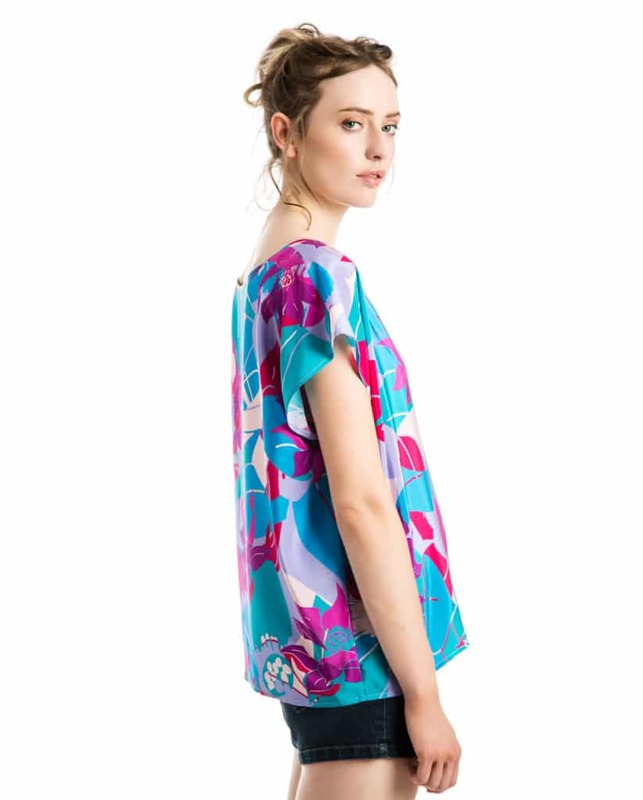 Simple yet beautifully cut silk crepe de chine tops are the ultimate in feminine chic. Featuring an exquisite array of colours and geometric shapes they are the ultimate luxury designer must-have to brighten up any outfit. 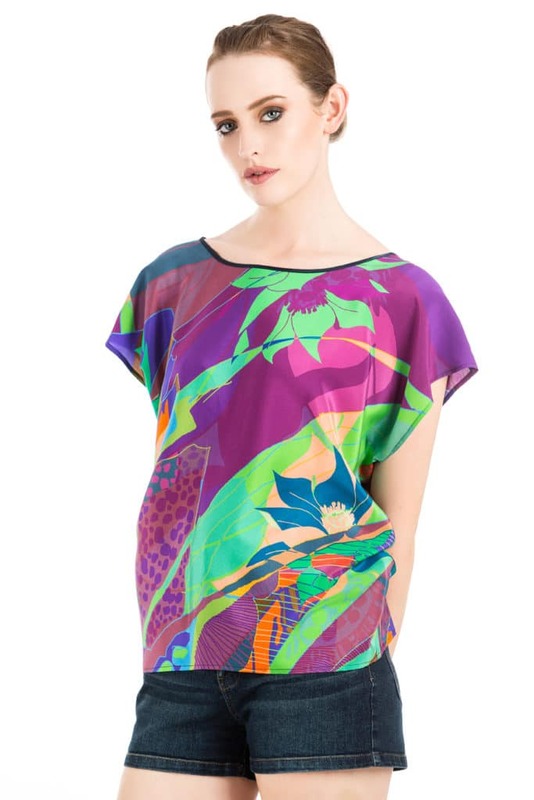 Luxury silk top. 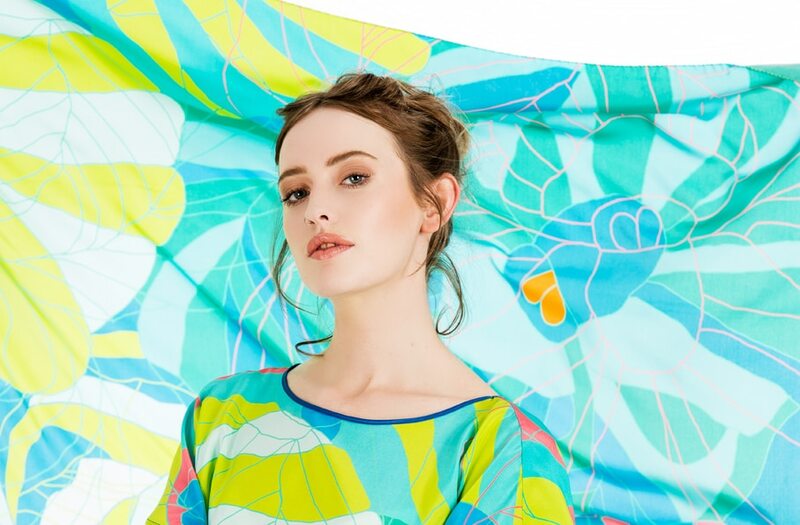 Made from 100% silk crepe de chine, celebrating British design and craftsmanship. New Spring/Summer 2016 collection COMING SOON!!! 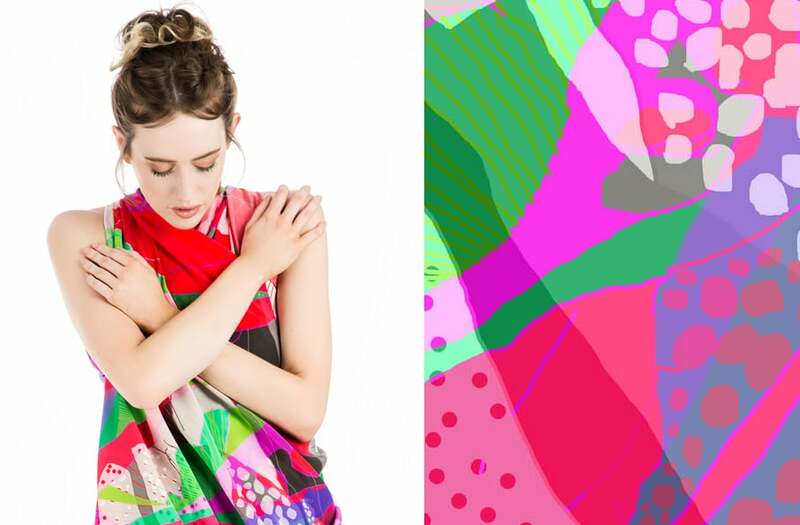 The new Spring/Summer collection is a burst of colour, we have introduced the new ” Munro Blossom” collection which throws caution to the wind and embraces bold colour and print. Look who’s back!!! Yes Spring/Summer 2016 TOPS marks Season 2 for our SILK TOPS. 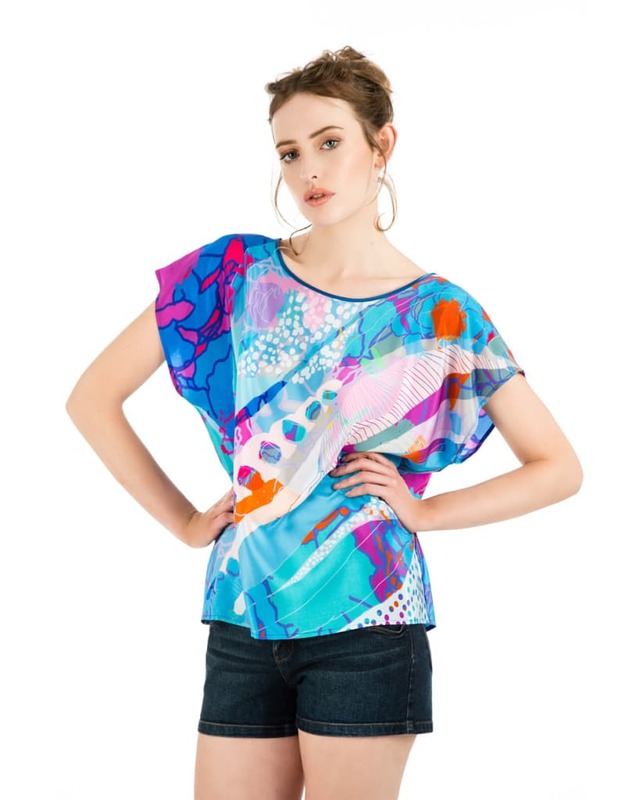 We had such success with the tops this Autumn/Winter15 season, they are back for Spring/Summer, introducing 7 new prints as well as expanding the size offering. They will now be available from XS – XL. The ever popular Silk Dresses are also going strong!!! Introducing 4 new prints in the Dresses this Spring/Summer 2016. 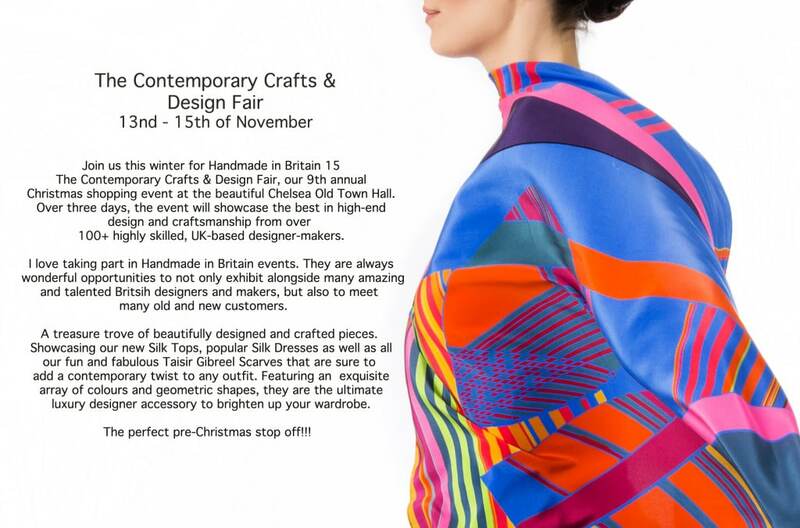 New Autumn/Winter 2016 collection launching at Craft – Top Drawer!!! A new addition to the collection is the NEW Moody Loch collection. The Moody Loch collection celebrates the vivid and enchanting colours of these majestic mountains under the cover of darkness. 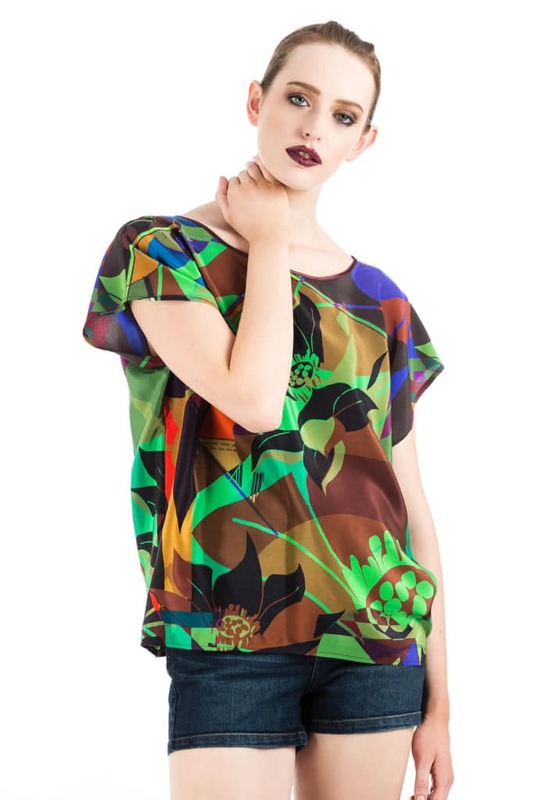 Back by popular demand are our Silk Tops coupled with our first Autumn/Winter Silk Dresses. The perfect addition for the festive/party season. Over three days, the event will showcase the best in high-end design and craftsmanship from over 100 highly skilled, UK-based designer-makers. The last couple of months have been incredible with shows across Scotland and London, a MASSIVE THANK YOU to everyone who popped by. It has been amazing working alongside other talented artists and designers and meeting some of my wonderful customers old and new. I look forward to seeing some of you at my last show of the season.